Native to the Mediterranean, arugula has been cultivated since the days of the ancient Romans. It was grown as an edible herb but is also mentioned by several classical authors as an aphrodisiac. For this reason, arugula was forbidden to grow in monasteries during the Middle Ages. Although introduced to the Americas by early British colonists, the popularity of this member of the cabbage family did not spike until recent decades as more health-related benefits were revealed. This dark green salad leaf boasts a wide assortment of beneficial properties. In addition to its low-calorie count, it contains many phytochemicals, anti-oxidants, vitamins, and minerals that have been shown to fight cancer and free radicals, as well as support a strong immune system. And it tastes great! 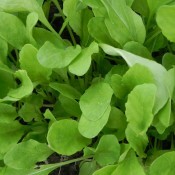 Arugula has a mustardy, peppery flavour reminiscent of watercress. This sharp bite serves as a great palate cleanser next to any rich dish making arugula an excellent complement to cheeses, pastas, and nuts. Arugula is best grown in cool, moist, well-drained soil with light shade during the hottest times. Higher temperatures tend to produce leaves with a slightly bitter taste. 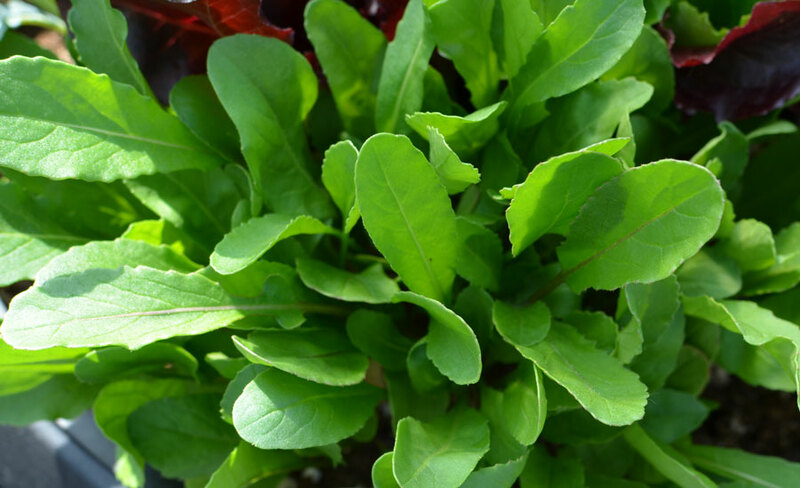 Arugula is easy to grow and very quick to mature. Companion plants of arugula include beets, cucumber, dill, lettuce, and nasturtiums. Arugula is a good source of vitamins A, B, C and K; folates; thiamin, riboflavin and niacin; and iron. Harvest outer leaves when they are at least 3 inches long, leaving the inner leaves to grow on. The older the leaves to stronger the flavour. Arugula is best eaten immediately after harvesting. To store arugula, refrigerate it unwashed in a plastic bag for 2-3 days. Adagio is a uniform variety highly sought after for its excellent bolt tolerance and extended harvest period. This easy to grow edible produces deep green leaves that have a robust and nutty flavour. A must-have addition to sandwiches and salads. © 2019 Tried and True. All Rights Reserved.